One of the great things about being found through online search engines is the nice people you meet from all over the country and even beyond who are interested in something different, unique & natural to place in their homes. 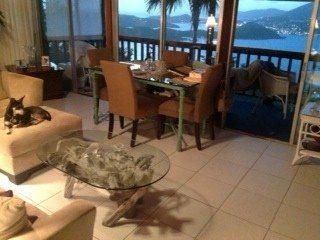 Over the summer I was contacted by a couple who split their time living in Topanga Canyon, Ca (near LA) & St Thomas in the US Virgin Islands. 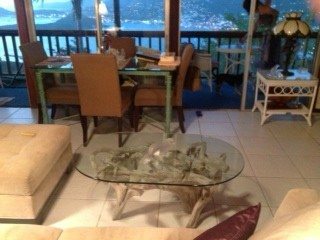 Recently their decorating focus has been on their St Thomas home overlooking the beautiful & historic St Thomas Harbor. 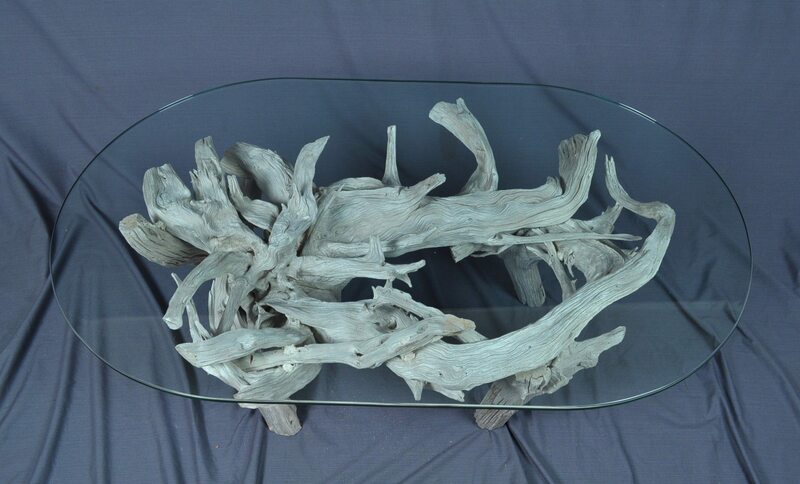 They sent me a picture of an open & airy driftwood table they had seen in an article & wanted me to see what I could come up with. I was fairly along in the process when they stopped by my studio when they were in Orlando & got to see how their table was made from start to finish. Soon after I shipped it to Miami & from there to St Thomas in time for the Christmas season. 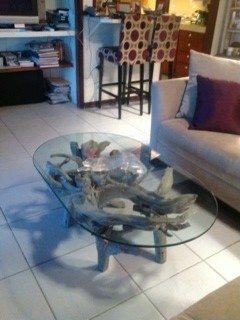 The table accommodated a 28 x 46 x 1/2 racetrack oval glass . I’d like to be shipped along with your tables to some of these beautiful locations…what a lovely, picturesque destination for this beautiful piece! !